Seriously. Other reviewers have probably gone over why "Murder on the Orient Express" is so good. And seriously it's so good. 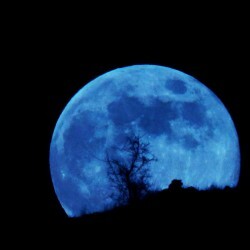 If locked room mysteries with clever solutions are your thing, go here. I recall reading this for the first time years ago and I maybe shrieked when the solution was revealed. I love books like this. Next to "The Murder of Roger Ackroyd" this is one of my favorite Christie/Poirot books. This is the tenth Poirot book and it comes right after "Lord Edgware Dies." I had a bumpy time with "Lord Edgware" cause of the totally free way people were throwing the "n" word around in that book. 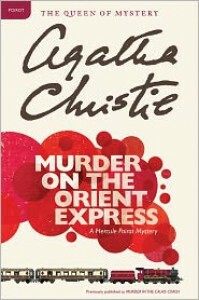 "Murder on the Orient Express" though completely shines and it can help you forget that Christie was a product of her times (tended to look down on other races via her writing/characters) and just had a lot of casual racism and sexism in her books. "Murder on the Orient Express" finds Poirot off solving some random cases when he is embroiled in murder when traveling on the Orient Express. A man named Ratchett is found dead. Ratchett at one point attempts to hire Poirot, and Poirot turns him down (he offers him $20,000 dollars!) When Ratchett is found stabbed to death multiple times in his compartment, Poirot investigates. Poirot starts to tie things together to a kidnapping case that took place years ago in the United States. We don't have Hasting in this one (a pity) but honestly this book is so strong without him. We seriously have Poirot at his peak in this one and nothing gets past him. You realize after you go a little ways that you may miss certain clues that Christie leaves out there for you. There is also a very nice illustration that shows you where the passengers are located on the train. I have to give Christie kudos for making a victim so awful throughout the book. We have Poirot even declining the case cause he doesn't like Ratchett's face. Heck, I didn't like the man's name. This isn't the first time Poirot solves a solution to a crime where the victim is terrible though. Go read "Appointment With Death." The other characters shine throughout this book. Due to the latest movie release of this I had the actors from that in my head while I was reading. Even though I knew the solution I loved how Christie brings everything together in the end. The writing was sharp and the flow was perfect. This would be a fun book to read as a book club group and have people guessing who the guilty party is until the end with Poirot's solution. Having the action take place on a train was genius. And this one works out better than Christie's other train book, "The Mystery of the Blue Train" which did not work for me at all. 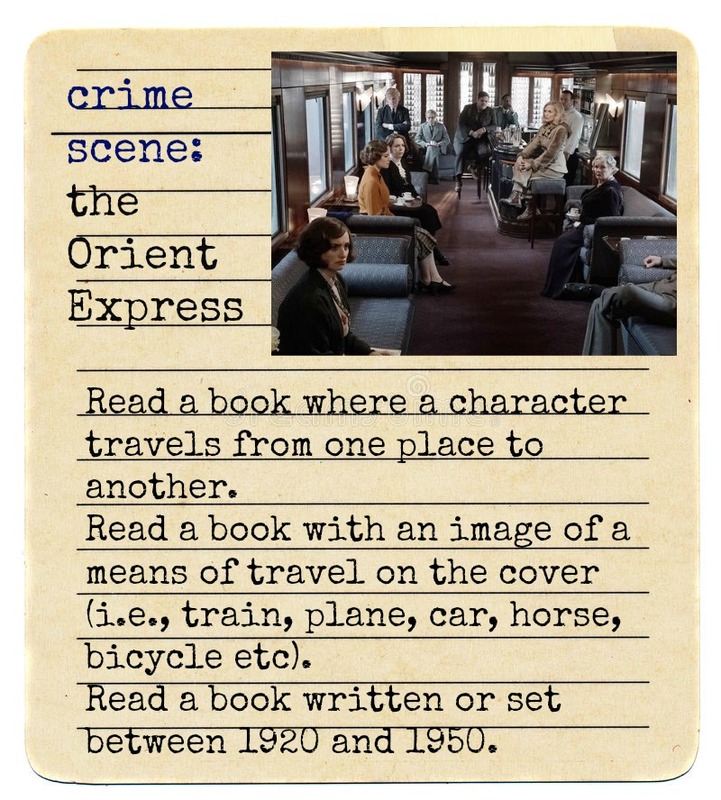 I am part of Red Group and I am guessing the Orient Express as the crime scene.